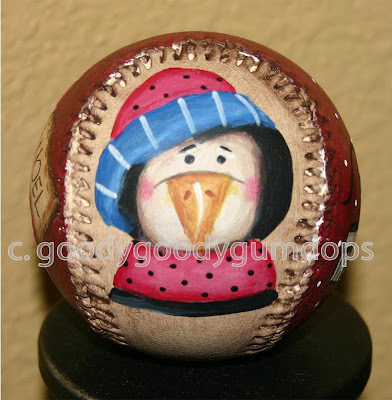 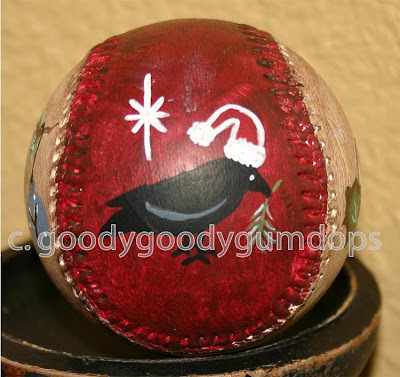 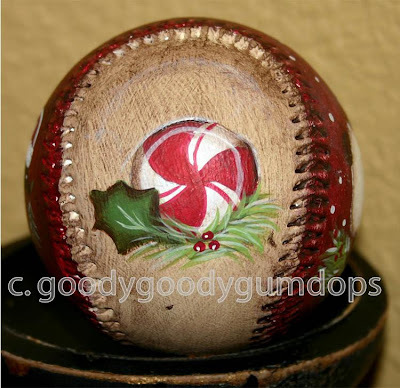 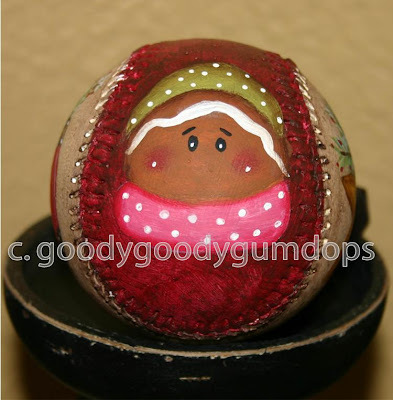 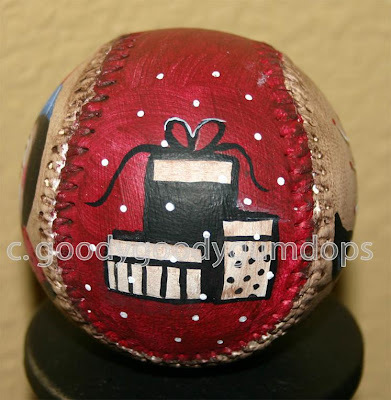 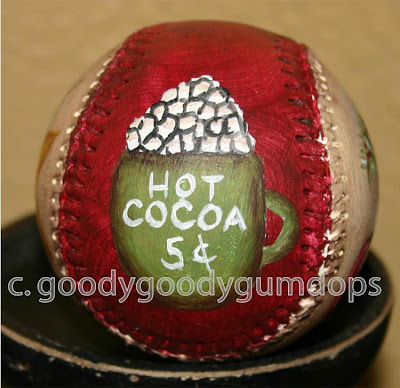 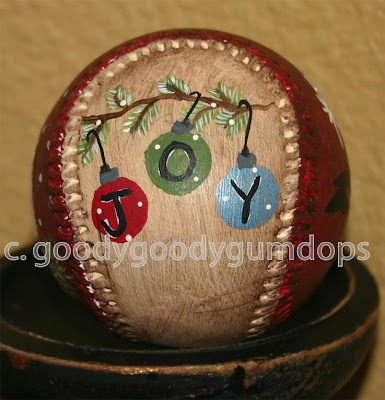 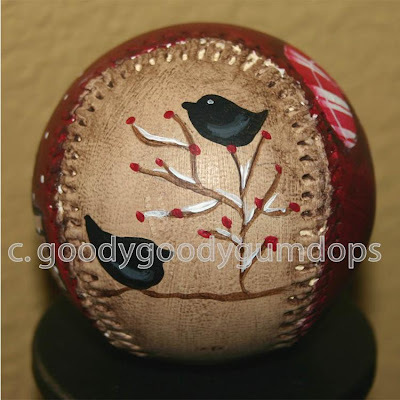 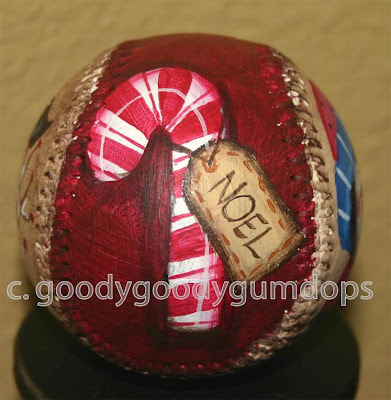 Baseballs are pretty easy to paint. 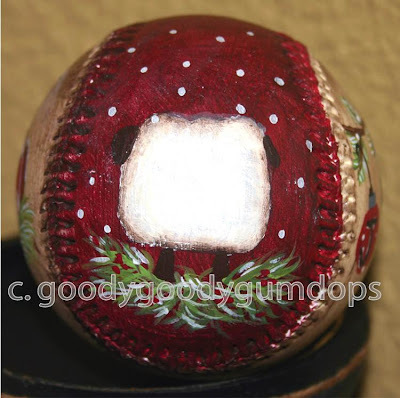 First, I basepainted everything white. 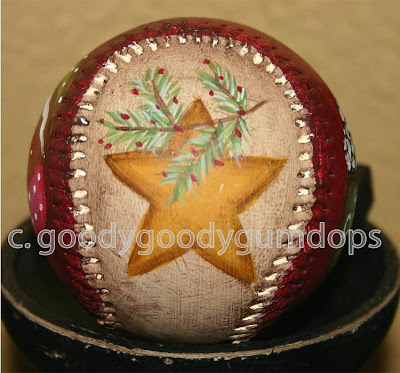 I painted half of each ball red, and then did a rich chocolate brown wash over the entire ball to give it an aged look. 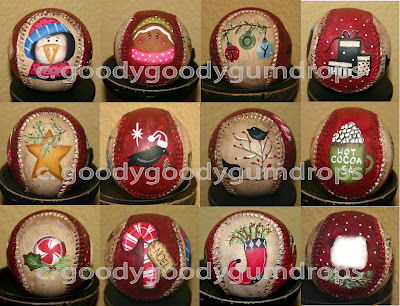 Next I created some original art and used some patterns I had to come up with twelve different Christmas paintings. 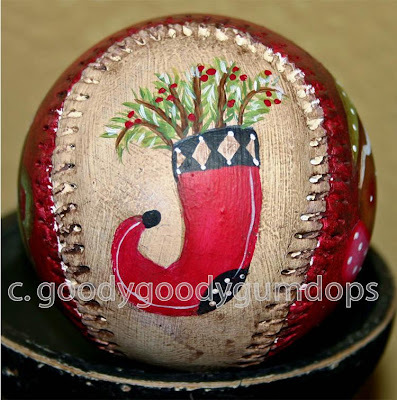 These look great nestled in greenery on a decorated mantle, or on candlesticks or cakeplates, in bowls, or just any little nook or cranny that needs splash of Christmas cheer!